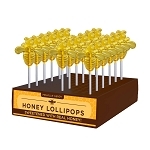 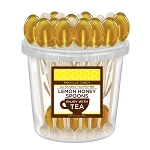 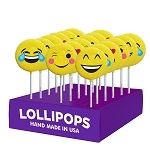 Our Kosher Fruit-Pop lollipops come with 24 lollipops on thick wooden popsicle sticks in a counter display unit. 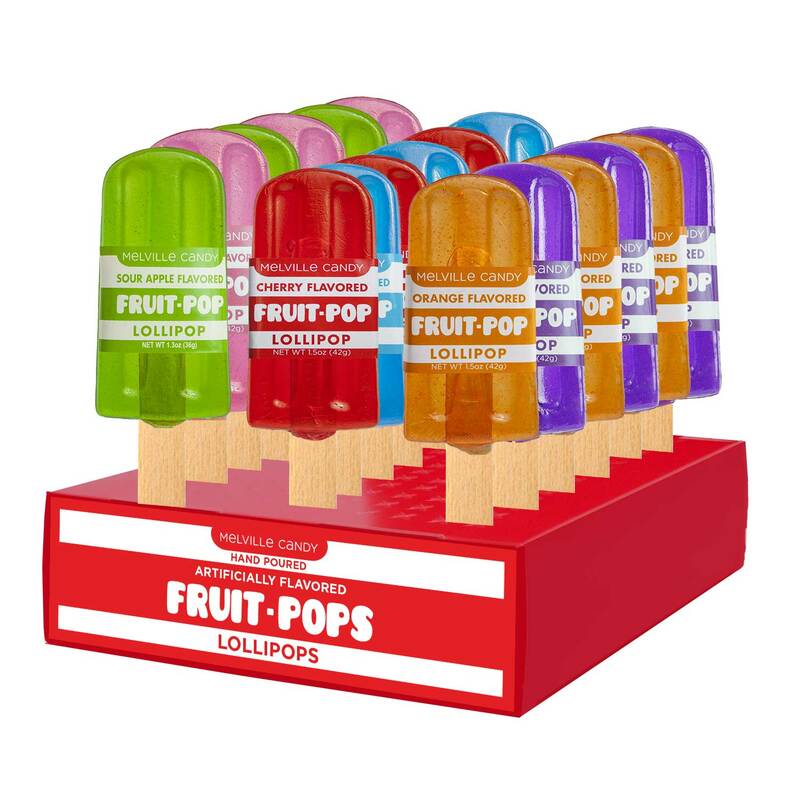 Available in Red (Cherry), Lime Green (Sour Apple), Pink (Watermelon), Orange (Orange), Purple (Grape) or Blue (Raspberry). 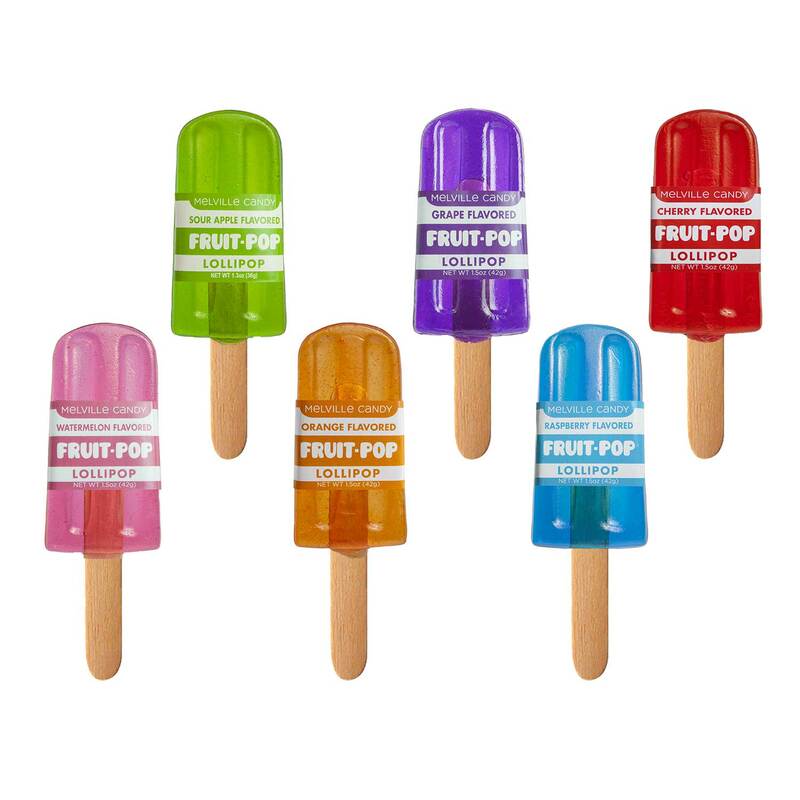 Choose a single flavor or one of our Fruit-Pop flavor assortments. 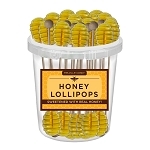 All our lollipops are hand poured; slight variations will occur.